It was this Summer when my son brought a lemon square home, that he got from the summer camp and asked me if I could make something like that. The next day, I came up with my own recipe and it ended in a big disaster. They turned out to be sour and they were left untouched by my little guinea pigs for couple days and finally made its way to the trash :(. Since then I was dodging away from Lemon flavored cakes. Recently I stumbled across the site eatliverun, where I found the wonderful recipe for 'Lemon Olive Oil Cake'. This is a soft and very spongy cake which seems to melt in your mouth. 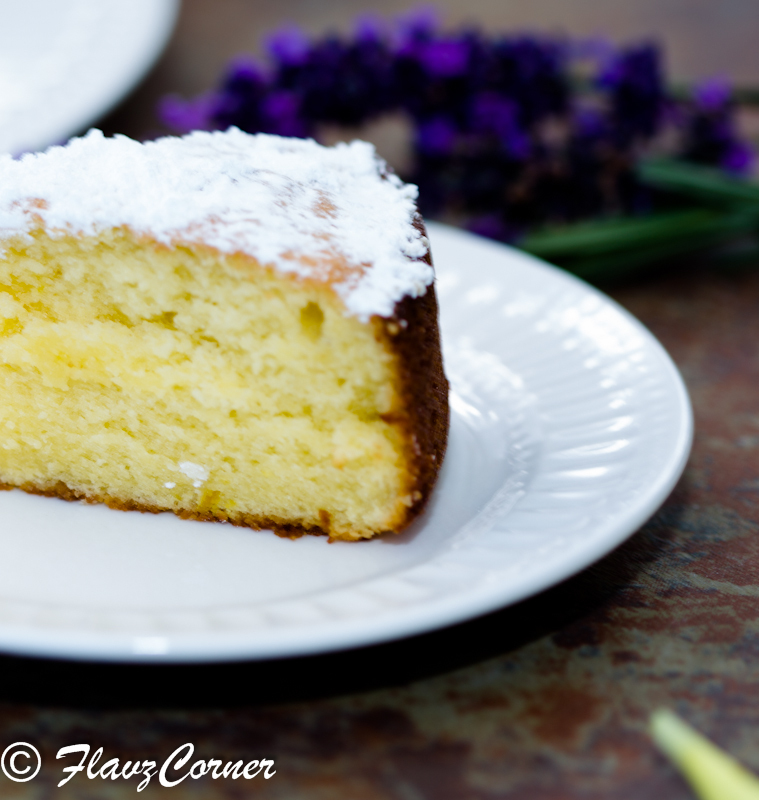 The key ingredients in this cake are Olive oil and lemon, that gives it a unique flavor. This is the second time I am making this cake and we really liked the flavor of it. If you like Olive oil cakes, you will definitely get hooked to this. There is nothing exorbitant about this cake; it is a simple and humble cake. 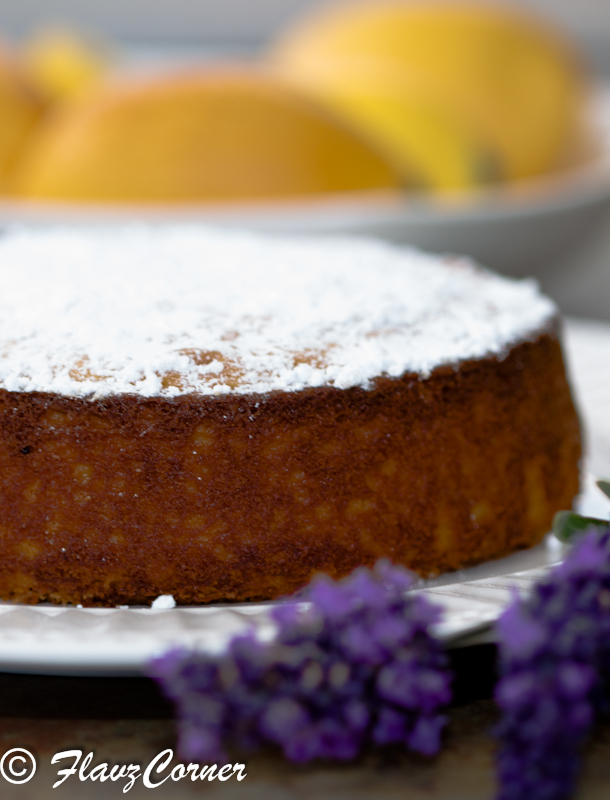 The unique flavor of the cake is contributed by a good quality light and fruity Olive oil. Cold Pressed olive oils are graded as the best extra virgin olive oils. I was in the hunt of a good fruity tasting Olive oil to make this cake and after some research I found one of the best extra virgin olive oil produced from California Olive groves that are available in local grocery stores, and are ranked next to the brand 'Columela'. 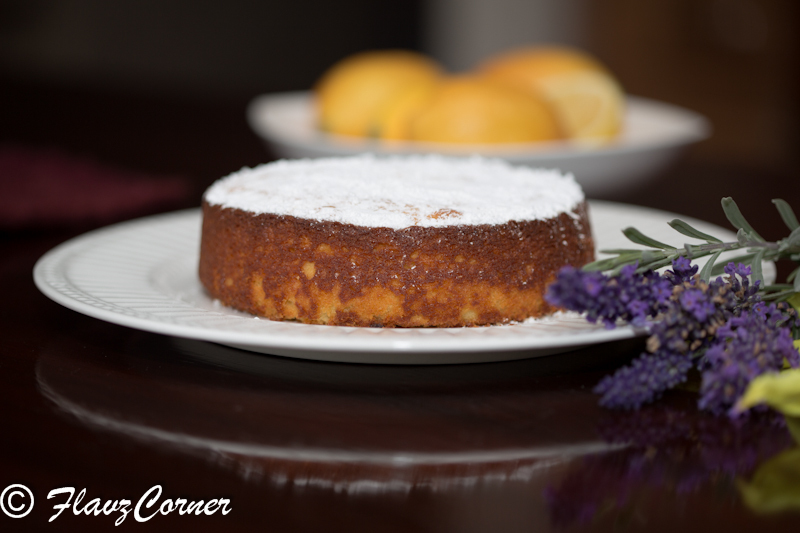 I used 'California Olive Ranch' extra virgin olive oil to prepare this cake. This is a light and fluffy cake that can be accompanied with some hot tea or Chai. * Pre-heat oven to 350 F.
* Beat eggs and sugar using an electric mixture till fluffy for 5 minutes. * Gently add the olive oil, lemon juice and lemon zest to the egg mixture and beat for another 2 minutes. * Sift the flour, salt and baking powder in another bowl and gently fold the flour into the egg mixture. * Use a rubber spatula to combine everything together to form a smooth batter. * Pour into a 6 inch greased pan and bake for 30 minutes. * Cool on wire rack and dust with powdered sugar before serving. 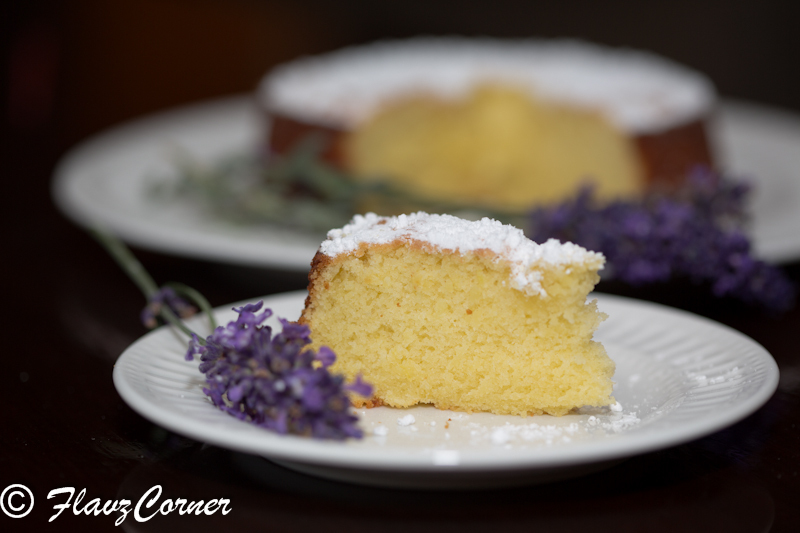 * A good quality Olive oil definitely enhances the flavor of this cake. * You can double the recipe to prepare 8-9 inch cake and bake for 40-45 minutes. * Make sure you beat the egg and sugar till fluffy, this helps the cake to become spongy. that looks like one moist cake. I have heard so much about using olive oil in cakes, but have never got around to doing so. Now this cake has definitely prompted me to give it a go. Go ahead and give it a try!!!! thanks for visting my space...see u more n hope u win the giveaway!